This 4th of July was spent like any other, we were fortunate to have the experience of camping and enjoying festivities with good friends. Jeff was late meeting us at the campground because, as a good Samaritan and ICU nurse, he stopped to help an elderly woman he spotted lying in her driveway; seemingly experiencing a medical emergency. He directed her husband to call 911, helped her take her rescue medications, and stayed with her until EMS arrived so he could issue the responders a full report of his care. He then continued on his way to meet us at the Campground- but if you know Jeff, that’s just his character; always extending himself to help others whether at work, among friends, or in the community. Little did he know just three days later he would be in need of emergency care himself. On July 7th, Jeff went to the ED with severe abdominal pain and was diagnosed with end-stage Heart Failure. The seriousness of his condition was surprising not only to his family and friends, but also to his doctors. This was a seemingly healthy man, now being told that the condition of his heart was so poor that if he had not gone to the ED, he might not have lived through the night. Jeff was transferred to Tufts Medical Center within 24 hours and was told he would need a heart transplant. He underwent multiple tests and procedures and was added to the transplant list on July 17th. He had open-heart surgery on July 23rd to place an internal heart pump (LVAD) to support his heart while he awaits a transplant. 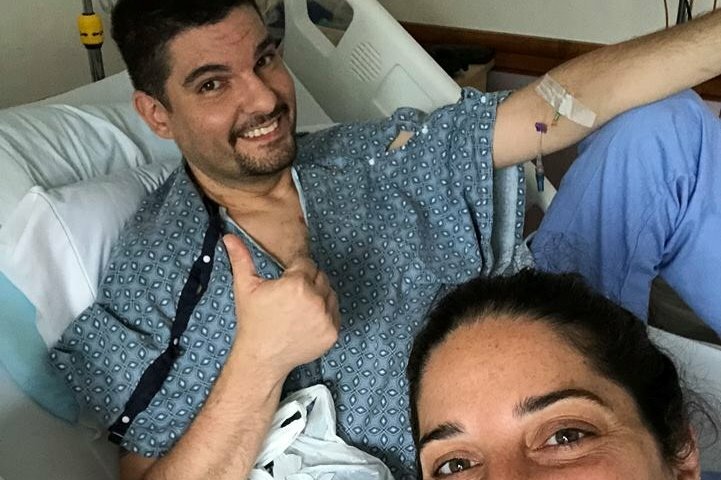 He was finally discharged from Tufts on August 6th, only to return on the seven days later as he required further care and was found to be in need of an internal defibrillator (ICD) to shock his heart in case he goes into an abnormal heart rhythm. According to major heart organizations, the average cost of a heart transplant in region 1 is over 1 million dollars, yet the average income of recipient is only $50,000.00! To put this in perspective, a 6-mile ambulance ride in Boston can cost more than $1,700. If health insurance covers 20% of that cost, the patient and family may have to pay the remaining $1,360. 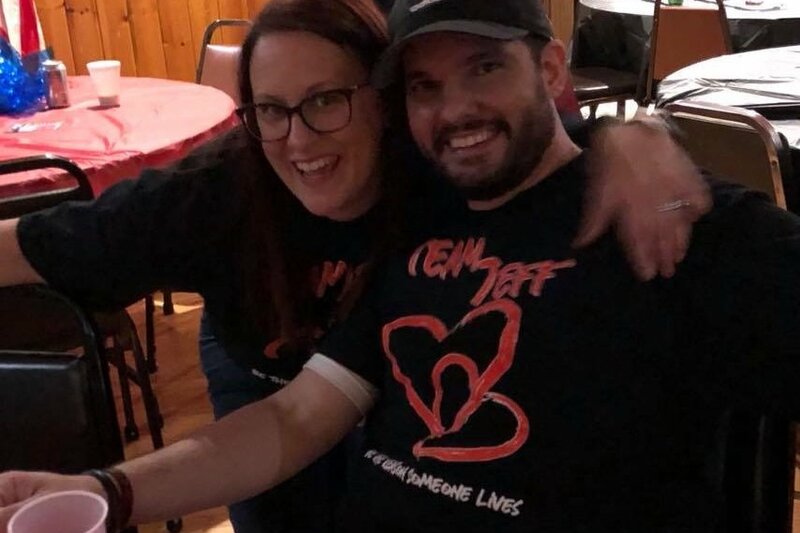 In addition to the costs, Jeff won’t be able to work for the foreseeable future, all dependent on when he’s able to receive his transplant…and then the healing process begins. Although insurance covers many of the expenses related to a major illness such as heart failure, it doesn’t account for the huge impact of loss of income and auxiliary costs such as transportation, parking, lodging, food, and copayments of life sustaining clinic visits as well as various medications which also present an enormous expense. 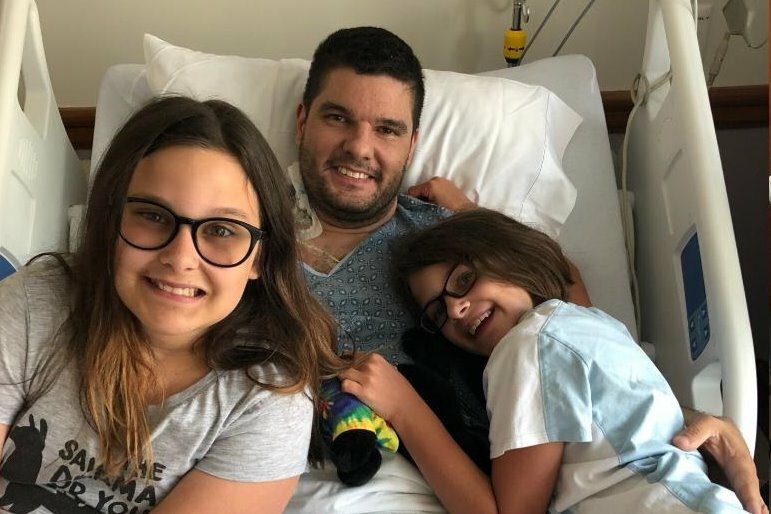 Jeff’s heart has failed him, so we need a lot of hearts to support him until he receives a new one! If you’re reading this and able to contribute any amount, your generosity would be tremendously appreciated! We've had a busy couple of weeks. Jeff was admitted to Tufts again from 10/31-11/6 for a gallbladder infection. He'll be going back again in a couple of weeks for surgery to remove his gallbladder. Because of the high infection risk with the LVAD, they decided to drain it for a few weeks before doing surgery. On a happier note, we had a spaghetti supper fundraiser for Jeff on 11/11 and had a huge turnout! We had appx 250 people come throughout the night. It was packed, but everyone was enjoying the night in support of Jeff. We had a great time! Thank you to everyone who continues to show love and support. Keep the positive vibes coming! Jeff had another brief stay at Tufts and was discharged home today. Just some minor symptom management, but hospitalization #3 nonetheless! He's otherwise doing remarkably well with his LVAD and maintains a positive focus through all of this. Thank you all for your continued support and positive vibes!